The foremost DVA in the World, staffed by dedicated, helpfull professionals who care. Their comprehensive web site is second to none and visitors will find it well structured and easy to follow. It is also a researchers dream, I know of no other country that takes greater pride in their veterans or who is doing more to preserve their memory and sacrifice. The Burma Star Association Dedicated to the Burma Star Association, this extremely comprehensive site is perhaps the single greatest resource on the web for general and detailed information on the Burma theater in WW2. http://www.koi-hai.com/index.html A great site dedicated to those from around the world who worked and lived in North East India (Assam Province). 113 Squadron has a strong historic attachment to this area of India. For those researchers looking for information on persons -places- things that ocurred in this area of India, this web site could be an important contact point. This is a site about the Japanese prisoner of war camps on the island of Taiwan (Formosa) during the Second World War and of the men who were interned in them. The inhuman cruelty and atrocities they suffered on behalf of us all must never have been in vain for they are the greatest of all heros. The Taiwan POW Camps Memorial Society is committed to finding the locations of the former prisoner of war camps and documenting their history. We want to honour the memory of the men who suffered to bring us the freedom that we enjoy today. This is a nicely done web site by Gerard Brigden, a 113 Squadron veteran, and one of the co-founders of this 113 Squadron website. Gerard, a Hurricane fighter pilot saw active service in the Far East Burma campaign and following the war became a noted international Architect. Also a skilled artist in watercolours, he recently began capturing some of his adventures on the Squadron in paintings. Prints of these are available at a very attractive price through his web site above. One of the oldest and the best site about Malta on the internet. An amazing effort and valuable resource for researchers. THE DESERT WAR A first class site with many photos, stories covering the Afrika Corps and the battle of El Alamein. Never let it be said, you can't go back in time. This is not just another Tour Group company which knows and cares nothing of the history of this area. This is an organization headed by a dedicated collector and historian of the Africa Corps who has been visiting and researching the battlefields for over twenty years. 38 GROUP SQUADRONS Have not explored fully. The Official Home Site of the 198 Fighter Squadron, and without a doubt, the most highly detailed history of an RAF Fighter squadron ever assembled. If you or a family member served on the 198, or are simply interested in learning more about the Fighter Squadrons in general, then this site is a 'must visit'. The 198, famous for it's rocket firing Typhoon's, was based in the UK and operated predominately against targets in occupied France. An inspirational and interesting look at slice of RAF history from the perspective of "one who was there". John Cripps, one of the UK's leading website designers of historical content, has masterfully captured and presented the memories of Tony Hallett, a Hawker Typhoon pilot of 198 Squadron. This is not only a wonderful read, but a pricless historical document that will be referred to by researchers for years to come. The Official Home Site of the FMS RAF 214 Squadron, an excellent comprehensive site dedicated exclusively to the 214 and is owned and maintained by the veterans and families of the squadron. The 214 was a Bomber squadron operating mainly out of Stradishall in the UK flying Sterling's, Wellington's and Fortress's. The 207 Association is an extensive site, Editor Frank Haslam, which hosts several other Associations, the WAAF, Aircrew / Groundcrew Search, RAFES, Ex-POW Association. The start of a good site and source of information on the 215 Squadron, a Wellington squadron. The 215 formed up both in the UK & Middle East, as such it has connections to both the 113 and 214 Squadrons. An excellent and comprehensive site dedicated exclusively to preserving the history of 99 Squadron. The main focus of the site is on the activities of 99 Squadron RAF during the wartime period of 1939 to 1945 but is planned to extend this period to the pre-war years in due course. 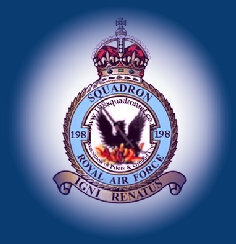 The official home site of the 112 Squadron. An extremely comprehensive web site dedicated exclusively to preserving the history of the 112 Squadron. Aside from it's numerical relationship to the 113, the two squadrons have much in common, having served in the same theaters and often the same landing grounds for the first few years of the war. Flying mainly Gladiators and Tomahawks the squadron saw extensive action in the Middle East, Greece and Italy. AUSTRALIAN WAR MEMORIAL ARCHIVES An extensive, searchable database focused on Australian involvement in the war, but this encompases a very great amount of general material related to all theaters. A valuable web site of the very highest calibre and professionalism which is typical of the Aussies. WORLD WAR TWO - EX RAF Looking for friends who served in the RAF with you during WWII? Or seeking information about loved ones or Relatives who served in the RAF during WW2? Then we can help! http://www.pimaair.org/index.html The Pima Air & Space Museum is the largest Air & Space Museum in the Western United States. A very well done site being easy to follow, interesting and educational. If your an aviation buff you will be amazed at the incredible size and diversity of the museums collection. Drop in for a visit, you won't be dissapointed. http://www.raaf.gov.au/airpower/index.asp Typical Australian excellence! This is an amazingly well done web site and a breeze to navigate. A must visit with something for everyone interested in Aviation. Be sure not to miss the interesting Publications section and the History section. Their mission statement: To enhance the RAAF’s operational capability by providing strategic level air and space doctrine and long-term future concepts. HAKANS AVIATION This is an excellent site and very likely the most comprehensive research in the world on biplane fighter aces, their aircraft and major aerial operations. It is not just a generalized story line about this period in aviation history, rather it is a highly detailed and valuable research document containing information that can be found no where else. RAF NEWS The official magazine of the RAF. If your interested in staying current on the latest events and happenings with the RAF, get the true facts by getting it from the source. A massive comprehensive site detailing the organization and structure of the RAF from inception to present. This site is "a must add" to every researchers toolbox and for all those aviation enthusiasts trying to come to terms with the hierarchy of the RAF.